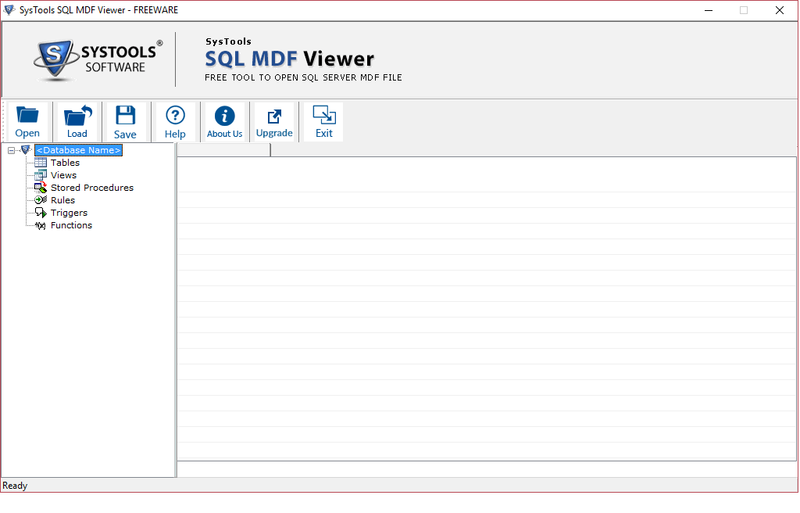 A standalone SQL MDF Viewer to open, view, and read data from MDF file without SQL server installation. The MDF Viewer explores all the tables from .mdf file with its respective entries. Other database items like keys, rules, columns, functions, stored procedures, etc. are also extracted by this freeware. MDF Viewer expands a .mdf file with tables, keys, indexes, triggers, classes, etc. MDF file explorer rapidly scans the SQL server MDF file. It explores and displays the items that are saved in primary database file of the server. User will easily be able to read data, even from corrupt or inaccessible .mdf file. It is quite possible that users are provided with MDF file but, they are not having SQL server installed on machine. In such case, the SQL MDF file opener helps a lot because this freeware works without any dependency issue. The free utility displays all items, which it encounters at the time of MDF file scanning. All database properties will be recovered by this product. One just needs to click on desired item and then, they can view data without any hassle. SQL MDF viewer is providing a useful feature to save scanning report for the future reference. If customers want then, they can save the scanned file in STR format with the desired name. It will be avoiding scanning of the same file again-and-again, whenever a person wants to view data. There is no high technical training required to read MDF file with help of this explorer application. Freeware is designed with the most simplified way to operate it. Even a novice user will be able to open MDF file without any single trouble. 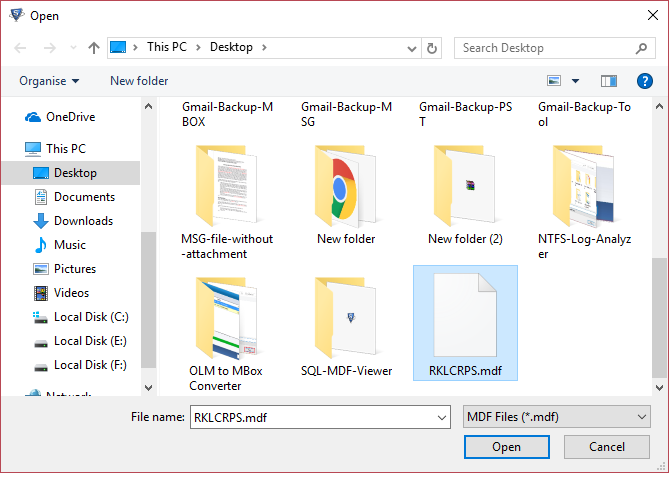 MDF file explorer displays all details of the MDF database file. One can check the number of pages read, name of the database, versions, total number of tables, and all other database information all in absence of the SQL server installation. MS SQL Server uses two database files : one is MDF and another one is LDF. A MDF file is considered as the primary file of the server that comprises of schema and data. There is only one MDF file for each database of the SQL server. The file comprises of SQL objects like tables, views, triggers, stored procedure, etc. Basically, the MDF file is holding crucial data, which is used either by the server administrator or forensic investigator. What Arises Need of Free MDF File Viewer? Apart from the SQL server, there is no other program that opens MDF file. This arises need to look for an additional product that provides facility to read data from MDF file without SQL server. Hence, users can utilize this QuickData SQL MDF viewer to explore objects of MDF file for free. There is no need to have SQL Server installed on machine for the same. Step 1: Start SQL MDF Viewer. Step 2: Open MDF file. Step 3: Browse the database i.e. MDF file. Step 4: Now, You can preview the data of MDF file. How is it possible for me to use this MDF file opener for some forensic purpose? The MDF file analyzer provides several technical modes to view MDF file. These modes comprises of Hex, HTML, RTF, etc., views that are widely used in the forensic investigation. I am having an orphaned MDF database file, which is equipped to me by my senior. Will I be able to view this file in your freeware? Yes, the free utility supports all types of SQL MDF file without any hurdle. Feel free to browse .mdf file of any kind because this freeware is workable under all circumstances. Is your MDF File opener available for free of cost or I have to subscribe it, after few time period? 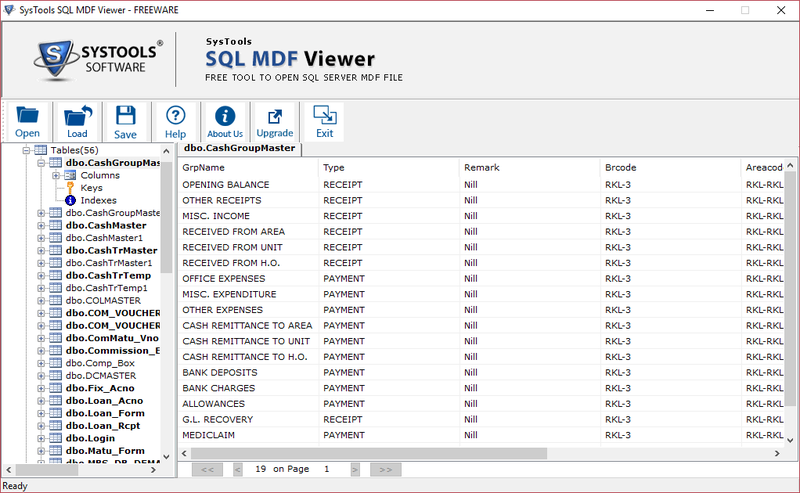 Yes, our application is available for free of cost to view MDF file without SQL server. It is free for lifetime and no hidden charges are appended in this product. Will I be able to view all attributes of a database table that is stored in MDF file? Yes, ofcourse the free opener displays table with all its rows and columns. The entries are also same as they were at the time of creation or after modifications. It is very rare situation when I rely upon any free products. Because as per my experience cycle, all the free applications are malware infected or not reliable. But, this SQL MDF viewer, proved me totally wrong in all aspects. The product provides a safe and secure environment to read data from MDF file without SQL server. 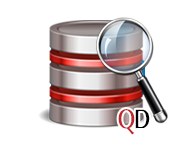 It is the best ever free product to explore objects from primary database file of the server. I was in an urgent need to view MDF file for some analysis work. Unfortunately, during this time period I was at my home and hence, not having SQL server available in my machine. At this stage, this MDF file explorer helped me a lot. I was flawlessly able to open file and hence, accomplish my task. I cannot imagine that if this freeware would not be there then, what would have happened. Seriously, Thanks a lot guys!.